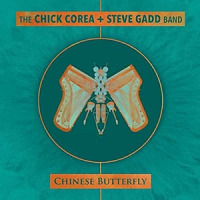 CHICK COREA has attained iconic status in music. The keyboardist, composer and bandleader is a DownBeat Hall of Famer and NEA Jazz Master, as well as the fourth-most nominated artist in Grammy Awards history with 63 nods - and 22 wins, in addition to a number of Latin Grammys. 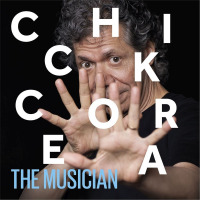 From straight-ahead to avant-garde, bebop to jazz-rock fusion, children's songs to chamber and symphonic works, Chick has touched an astonishing number of musical bases in his career since playing with the genre-shattering bands of Miles Davis in the late '60s and early '70s. Yet Chick has never been more productive than in the 21st century, whether playing acoustic piano or electric keyboards, leading multiple bands, performing solo or collaborating with a who's who of music. Underscoring this, he has been named Artist of the Year three times this decade in the DownBeat Readers Poll. Born in 1941 in Massachusetts, Chick remains a tireless creative spirit, continually reinventing himself through his art. As The New York Times has said, he is "a luminary, ebullient and eternally youthful." 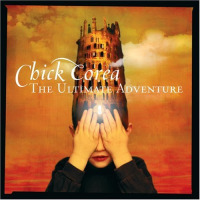 Chick's classic albums as a leader or co-leader include Now He Sings, Now He Sobs (with Miroslav Vitous and Roy Haynes), Paris Concert (with Circle: Anthony Braxton, Dave Holland and Barry Altschul) and Return to Forever (with Return to Forever: Joe Farrell, Stanley Clarke, Airto Moreira and Flora Purim), as well as Crystal Silence (with Gary Burton), My Spanish Heart, Remembering Bud Powell, and Further Explorations (with Eddie Gomez and Paul Motian). A venturesome collaborator, Chick has teamed with artists from jazz legend Lionel Hampton to new-generation pianist Stefano Bollani, from banjoist Béla Fleck to vocal superstar Bobby McFerrin. Chick's duo partnerships with Gary Burton and Herbie Hancock have endured decades. 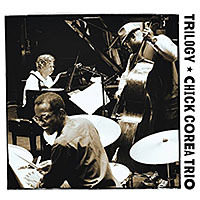 Chick's 2014 release ranks as a new classic in his discography: Trilogy, a live triple-disc set with bassist Christian McBride and drummer Brian Blade. Winner of two Grammys, the album documents this trio interpreting classic Chick compositions (such as "Spain"), plus previously unreleased pieces by the pianist ("Piano Sonata: The Moon"), an array of jazz standards and even a Prelude by Alexander Scriabin. All About Jazz noted: "This one certainly ranks among his most memorable trios... [Corea] has never been more activeand with albums as superb as Trilogy ... clearly at the top of his game." Rare for a "jazz musician," Chick received the Richard J. Bogomolny Award from Chamber Music America in 2010, and he broke new ground as a composer with The Continents: Concerto for Jazz Quintet and Chamber Orchestra, released in 2013 by a storied classical label, Deutsche Grammophon. Chick recorded his first album of solo piano in 1971, and he continued his intimate journey with the instrument on Solo Piano - Portraits. For the 2013 album The Vigil, Chick put together a new-era electro/acoustic quintet, featuring himself on keyboards and longtime associate Tim Garland on reeds, alongside some hot young players. For a sold-out international tour and live album in 2008, Chick reconvened his pioneering jazz-rock fusion band Return to Forever, which he founded in 1972. Then in 2011 a new version of Return to Forever - with Clarke, White, Jean-Luc Ponty and Frank Gambale - toured the world to acclaim, yielding the live CD/DVD The Mothership Returns. 2015 has found Chick himself as active as he's ever been. A major highlight of the year was Chick's hugely acclaimed world tour with fellow piano legend Herbie Hancock, reuniting for their first full-scale tour as a duo since 1978. That first duet outingjust the pair of world-class musicians playing acoustic pianosresulted in a pair of massively popular album still viewed as benchmarks today. Corea & Hancock filled some of the greatest venues on the planet. Said Chick about the tour, "Herbie is my longtime friend, one of my most important teachers and big musical inspirations. To be able to share the stage each night with him is such a highlight of the creative imagination for me." 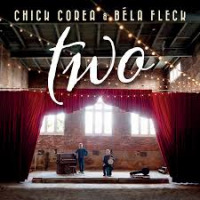 His latest album, Two, documents his constantly-evolving duet with Béla Fleck, the estimable banjoist. In an interview with NPR's All Things Considered, recorded during their US tour celebrating album's release, Chick said the duet is "like a friendly, very fast-moving ping-pong game... It opens up whole new ideas for me of how to integrate my phrases. 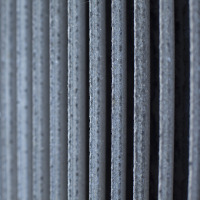 I'm always thinking about accompanying. So that's my pleasure in the duet, is to see how I can make the banjo sound good."